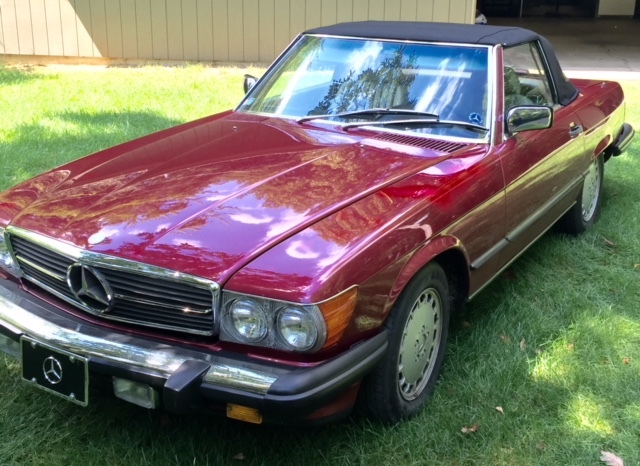 89 SL in very desirable garnet red metallic with cream hides. 36600 miles in up to date excellent driving condition. New motor mounts, battery, brakes, tires, idle control, and very expensive stereo. $26,800.00. Both tops 608-347-8395.